It is unavoidable that at some stage you will drop your phone. Whether it slips out of your pocket. Falls from your grasp or gets knocked out of your hand by your beloved pet or child, it will happen. The few seconds where you contemplate the horror of the situation and check to see whether your screen is cracked or damaged, are pure torture. A cover will stop you rolling the dice and will protect your phone from a majority of drops. For most people, their smart phone is also their camera. On all phones, the camera is another fragile element of the phone you wish to protect. At the end of the day, you don’t want to spend money getting a repaired screen or brand new phone because of a modest drop. There is nothing worse for having your phone on the table and a notification pops up on your screen and the whole table can see what is going on. Or maybe, you are riding on public transport and strangers can view your entire conversation? Without cover discretion is well and truly out the window. Not all your notifications are for public viewing. So a cover can protect you from prying eyes and keep all your data confidential. The innovative technology of phones is fantastic but they can still overheat and become damaged and exposed to UV radiation if left out in the sun too long. A cover will soak up all the rays and stop your phone from overheating and prevent it from any lasting UV damage. It is a big idea to have a cover if you find yourself using your phone outside and exposed to the elements regularly. This is the most underrated aspect of a cover. 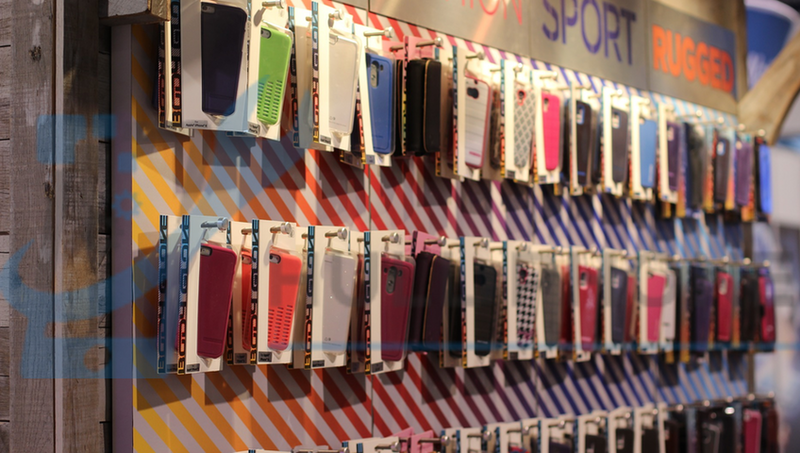 Countless phone covers now provide space to fit in your credit cards, driver’s license, business cards and the like. They are fantastic space savers and eliminate the need for most situations to carry around a wallet as well. Covers are particularly useful for a night out, when you do not want to putting a whole lot of things in pockets, or leave things lying around. We all know that young children just love to grab things. If you leave your phone lying around without a phone cover. Chances are young children will get hold of it. You will end up with fingerprints, a sticky phone or if you are unfortunate, even worse. It is a hassle to constantly clean your phone from dirt, bacteria and sticky hands. It is a much better idea to have a cover and simply clean that when you have to. It is much better to be wiping paint, dirt and grime off a cover then from your phone screen, which could cause serious damage to your phone in the long term. As much as anything, phone covers have also become a fashion statement of sorts. As well as being extremely convenient they can also show off aspects of your personality, tastes, hobbies and style. People will no doubt associate you with your phone cover and in some instances it could become a fascinating topic of conversation with a friend, colleague or stranger. Whether your phone cover is of your favourite sports team, favourite colour, favourite band or just a quirky design, it can add some real individuality to your phone and may even make you more approachable and interesting to come and talk to. Phone covers are generally very hardy, especially the heavy duty ones, and can withhold a fair amount of wear and tear without needing a replacement. Phone covers have great longevity, which inevitably means that your phone will last longer as well. Even better, covers are only a fraction of the cost of buying a phone, so make them a definite purchase with your next phone, whether it be a Samsung, iPhone, LG or other models.